Every garden needs a birdbath. up to $3,000 for the very large, ornate ones. 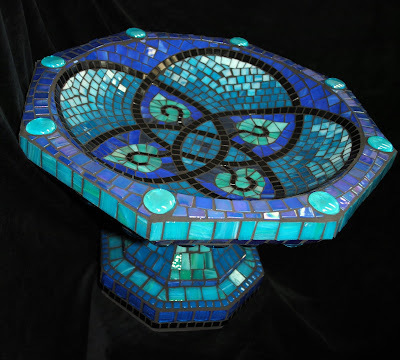 to discuss your custom mosaic birdbath. 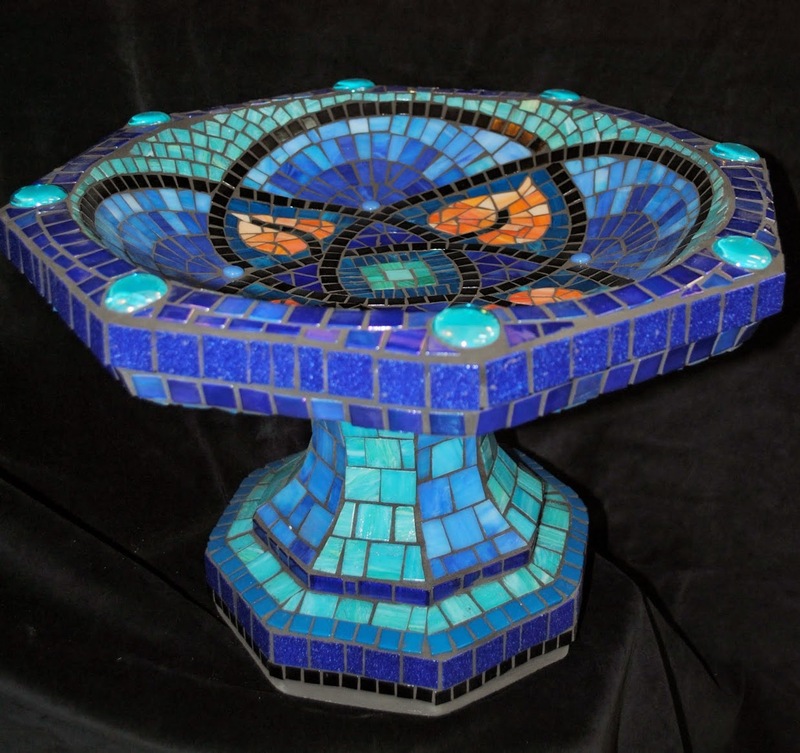 The above birdbath is currently the only one I have in stock.